YES! GIVE ME THE SECRET TO BIG RESPONSE DIRECT MAIL. Is your Nonprofit using A/B Testing for Direct Mail Fundraising Campaigns? If you aren't A/B Testing, you are wasting time, energy and money creating Direct Mail Pieces. Without A/B Testing you are taking a shot in the dark and guessing what your donors want to hear and will respond to. Don't worry. I can help. Download my FREE Ultimate Guide to A/B Testing for Direct Mail Fundraising. DOWNLOAD YOUR FREE ULTIMATE GUIDE TO DIRECT MAIL FUNDRAISING. A/B Testing is easy! Trust me. Trust me when I tell you that A/B Testing is simple, easy, fast and efficient. Hundreds of smart nonprofits just like you took the plunge and tried it. 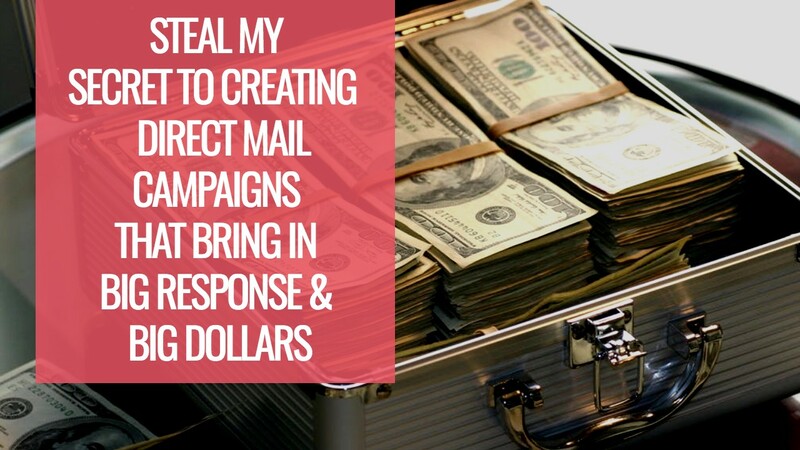 ​Just download my free Ultimate Guide to A/B Testing for Direct Mail Fundraising. Once you start, you'll never look back. I AM READY TO TRY A/B TESTING, GIVE ME THE GUIDE!